Spatial sequencing is important for developing math skills, especially geometry. But for preschoolers, some types of sequences are hard to learn. Today in Positive Parenting, researchers reveal how parents can help their kids get an early start. Hand some kids some blocks, and they are ready to go. 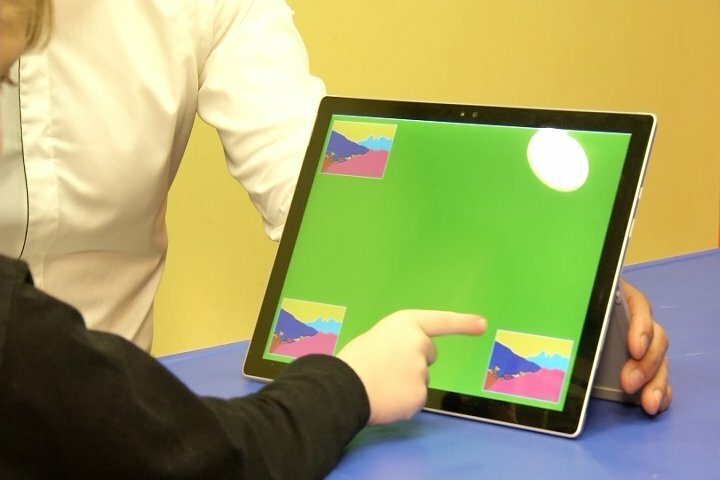 But when you ask them to remember the order where different things are located, or sequence, on a tablet, Professor Francys Subiaul, at George Washington University says it’s not as easy. “What we found was 3 year olds were surprisingly bad at doing that, even though they were good at copying other kinds of sequences,” Subiaul says. Think of spatial sequences or patterns like trying to punch in numbers on the ATM keypad with no visible numbers, just from the memory of their location. Subiaul split kids into groups and gave each different activities on tablets. They found the children who first practiced imitating spatial sequences with adults were best at imitating spatial sequences later. “Just a ten minute, very brief intervention significantly improved their spatial imitation performance,” Subiaul says. Tablets are a good way for kids to learn spatial patterns, but Subiaul says parents need to stay engaged during play. Ask kids questions about the games. Have them describe what they’re doing and what they’ve learned. Adult imitation and interaction is what builds skills for future math success. Parents looking for educational apps to help kids learn spatial and early geometry skills can find some ideas at the common sense education website.